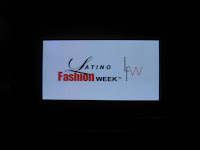 PrivyDoll attended the kick off media red carpet event for the 4th annual Latino Fashion Week on Monday. Which is the kick off event for the week's busy events. 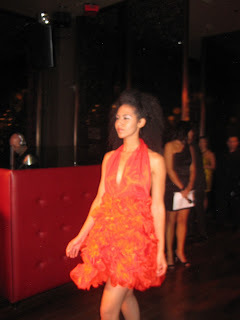 Crimson lounge was buzzing on Monday with every media outlet you can imagine waiting to get a glimpse of the local Latino celebrities that rocked the runway and the local designers' previews that followed. Latino Fashion Week is a great platform for young designers, new designers and an outlet for exposure for the community. The local celebrities that offered to strut the runway included: Betzaida Ramirex from Mega 95.5, Maria Elena Ponticiello from NBC/Telemundo, Mai Martinez from CBS and Johanna Londono from Mega 95.5 to name a few of the celebrity models. The rocked in sparkles from local designers Akira and M.GO. The night was about local talent and ten pieces from these five local designers that are to make a big impact in fashion design in Chicago and beyond! Designers included: Maison de LaCour, Angelica Santoyo-Bernal, Claudia Urrutia, Minx Parlor Design Team and Hector-Javier MonArrez. 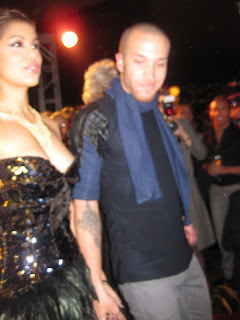 Loved the lace see through dress with heavy feather collar by Masion de Cour and the following picture is a picture of the designer and his last look.